What is the purpose of the 3-Shelf Table Top 1200kg Heavy Duty Trolley? 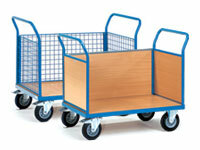 Move heavy products and store bulky items in your warehouse with the high quality 3 shelf platform trolley. Lifting heavy items can be a burdensome task, but you can make it a bit easier with help from the 3-shelf platform trolley from The Workplace Depot. Keep your valuable employees protected and important supplies safe with this practical and workplace affordable solution. Where can the 3 Shelf Platform Trolley be used? Need to move a large amount of supplies across the factory floor? 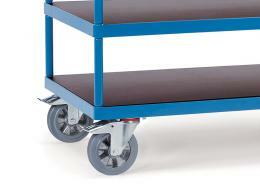 Leave the heavy moving to a heavy duty platform trolley that can work for you. Made of strong tubular welded steel and featuring a 1,200kg capacity, the platform trolley is ideal for the workplace, factory, and commercial garage. 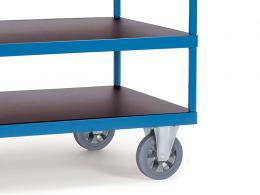 Who might use the 3-Shelf Table Top 1200kg Heavy Duty Trolley? Whether your job includes transporting big items to the other side of the warehouse or just looking to keep work supplies organised, this hand trolley is both dependable and sturdy. 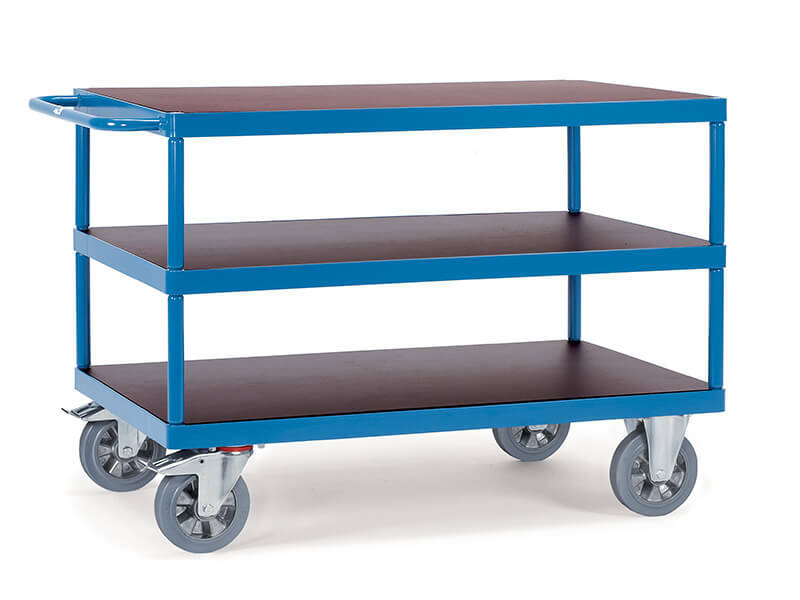 Featuring two fixed and two swivel non-marking thermoplastic elastomer (TPE) wheels, the high quality 3 shelf platform trolley is designed for multiple uses and is available in a variety of platform sizes from 1000 x 700 to 2000 x 800. A blue powder coated finish provides a professional look for a great product. This heavy duty trolley is now available in any colour to suit your commercial needs, which is convenient when you want to keep your trolleys in designated areas. The hand operated 3 shelf platform trolley comes with a 10-year parts and labour warranty to ensure protection for your product for a long time to come. Additional accessories such as clipboards are also available to order and can be helpful in making your work tasks as productive as possible. Delivery is quick (between 10 and 15 working days) and free when you order from The Workplace Depot. We have everything you need for the workplace.